Marijuana legalization has been climbing uphill for the past several years. It faced opposition across the country, but two states decided to take a risk. They won big, and others decided they wanted to take that same bet. They won, too. So, as the tide of public opinion continues to turn in favor of legalization, more states are drafting legislation to make marijuana legal. Of course, 2016 was predicted to be a big year for legalization, and according to Cheat Sheet that prediction may come true. All that has to happen is for California to legalize pot, and it’s all downhill from here. California’s legislators have been watching the news, and they’ve decided to put marijuana on the ballot for this November. If the state votes yes (which a lot of experts think will happen), then California will join the ranks of states like Washington, Colorado, Oregon, and Alaska who have decided to decriminalize marijuana. Why is that a big deal? Because California is a big deal. It’s the most populated state in the U.S., and the 8th biggest economy in the world. Legalizing marijuana will send a message that the experiment is here to stay, and jobs will boom like never before. So, while it’s just one more state, California represents so much more than that. It is, in a very real sense, the turning point. 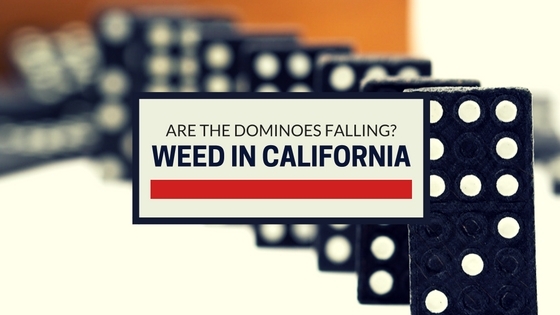 While it is technically possible for legalization to be halted after California legalizes it, it would take a colossal (and likely very unpopular) effort. It would, in a very real sense, but Prohibition all over again, undoing all the progress that’s been done. What’s more likely to happen, though, is that marijuana legalization will sweep the rest of the nation, and soon everyone will experience the same kinds of benefits we’ve already seen.